We our a local Construction & Remodeling Company, with a focus on exceeding every customers expectations. We provide a personal experience that allows our customers the opportunity to express.there individual style's and taste. We specialize in medium to large high-end custom projects including but not limited too Kitchens, Bathrooms, Basements, Additions & Decks. A+ Home Improvements, LLC and A+ Building Maintenance & Home REpair, LLC are based in Toledo, Ohio and provides commercial & residential home and building remodeling, repairs and maintenance throughout Northwest Ohio & Southeast Michigan. A+ craftsmen are experienced and offer top quality home repair, commercial building maintenance, and handyman services to meet your home or building repair and maintenance needs. These include remodeling, electrical, plumbing, yard maintenance, and more. Wolverine Custom Painting L.L.C. is a growing business located in the heart of Washtenaw County. Established in 2002, Wolverine proudly calls Ann Arbor, Michigan it's home. We are definitely not your average painting company. Every member of our team carries with them 20+ years of skilled trade experience, some in multiple disciplines. Our collaborative partners include a Structural Engineer, Architect/Interior Designer, Plumber, Electrician & HVAC Mechanical contractor all of which are Licensed in their respective fields of expertise. We believe that quality is not an act, it is a habit! Wolverine Custom Painting L.L.C. merges your vision with our quality. In addition to Painting we specialize in Kitchen, Bathroom & Basement remodeling projects. Our unique process of contracting opens the door to savings for all clients, cushioning their budget, thus allowing them to maximize renovation potential while maintaining attention to detail. At Wolverine, communication, customer service & catering to the special needs of each client is a priority. Our goal is to provide a safe, cleanly & well-organized project environment while providing a high quality of craftsmanship. With over 27 years of experience in the building trades we stand behind the work we perform and have the references to back it up. We purchase our building & remodeling materials locally from trusted suppliers and small business'. As often as possible, our company utilizes environmentally friendly green building & reclaimed materials, Top-Grade Low VOC, Zero VOC & LEED approved primers, paints & finishes. * Hourly & Day Labor rates are available upon request. Timberworks is a full service carpentry provider that sets out to achieve a high level of craftsmanship while adding value to your home. With almost a decade of experience in the residential construction industry, we are confident that the quality and expertise offered by Timberworks will result in the job done the way you had envisioned it. At Timberworks Carpentry the design process is very important. For custom projects we create a 3D image of what the finished product will look like. This ensures that the project we build is the one you had envisioned. 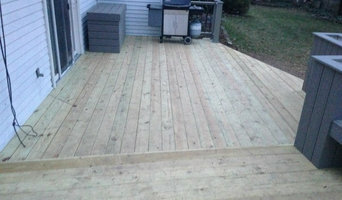 Sean Patrick Builders, LLC specializes in a broad range of residential and commercial building and remodeling projects. 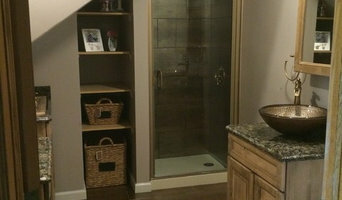 At home, we can assist you with projects of all sizes including: New construction-Custom Homes; Room additions; Bathroom renovations; Basement conversions; Kitchen remodels; Custom cabinetry and built-ins; Tile and hardwood flooring; Drywall, molding, and trim; Decks and outdoor living spaces; Electrical and plumbing installation / rehab; Roofs, siding, and windows. For the office, we develop a plan with you to create or convert your company’s space to best suit your work needs. Space planning combined with quality materials and craftsmanship provide a space to further promote your business image. We pride ourselves on providing top quality customer service: every effort is made to be on-time and on-budget. Projects are not considered complete until you are satisfied with the result. Our network of professional trade contractors use only the highest quality materials to complete projects according to the most innovative methods and safest standards in the industry. 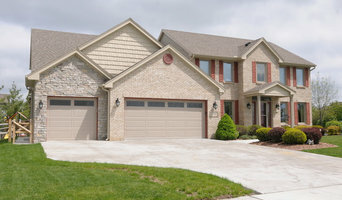 Sean Patrick Builders has completed a broad range of custom projects in Northwest Ohio. Licensed, bonded and insured home improvement contractor, we provide insulation, gutter guards, roofing, windows, basement finishing, kitchen remodeling, bathroom remodeling in and around the Toledo, Ohio area. Since 1983, Ciboro Construction has stood as a pillar of integrity and community focus in the greater Toledo area. With the majority of our business being generated through word of mouth referrals, we rely on our quality craftsmanship and attention to detail to go above and beyond each client's expectations. Because of our strong relationships with local architects, designers, suppliers, and subcontractors we are able to work with you throughout the entire building process-creating a seamless transition from what you dream of to what we create. The Johnson Brothers started working locally in the trades 30 years ago. As a result, they know and work with reliable subcontractors who consistently provide superior craftsmanship and competitive prices. Donny and Tom are deeply committed to the success of each project, attending to the workmanship details that will ultimately distinguish your custom home from the rest. The Johnson Brothers truly enjoy building fine homes and want to share that enthusiasm with you. If you are looking for exceptional workmanship, hands-on service, and you want to be completely satisfied with the final project, then choose Johnson Brothers Construction to work with you on your custom home or addition. Coulson design build inc. is an award-winning, comprehensive design and build service that is committed to outstanding quality and cutting edge architectural design. From initial concepts to finished product, we work hand in hand with our customers to ensure total satisfaction. Whether it is residential construction or commercial applications, Coulson design build inc. will incorporate "outside the box" thinking with today's latest green technologies. Please feel free to review some of our featured homes and contact us with any inquiries.